Cling Stamp featuring a classic Ford Mustang. Deep Red stamps are made of a blend of natural rubber and are attached to a cling foam pad for better definition. Cling Stamp featuring a classic Chevrolet automobile. Deep Red stamps are made of a blend of natural rubber and are attached to a cling foam pad for better definition. 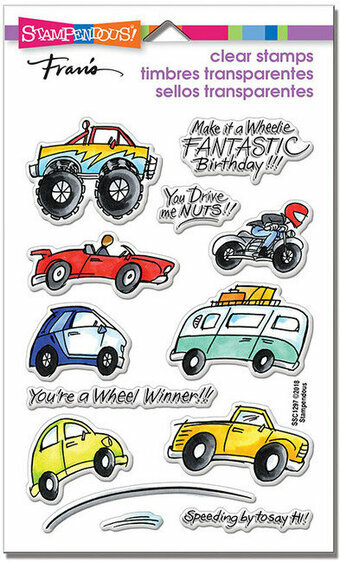 Cling rubber stamps featuring Classic Cars and the sentiments "You're not old, you're classic", "Road Trip", "The journey begins", "1950s", and more. 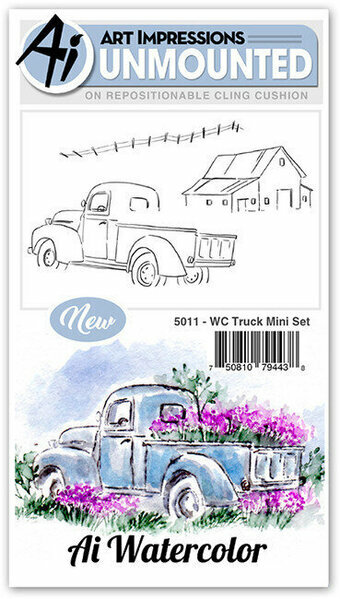 These detailed stamps are the perfect way to add fun images to your cards, scrapbook pages and more! 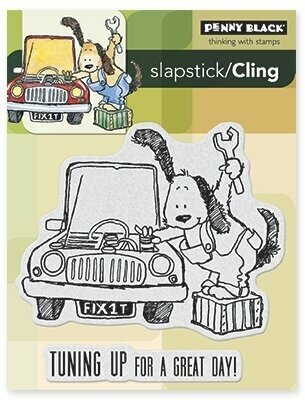 Use with any clear acrylic block. 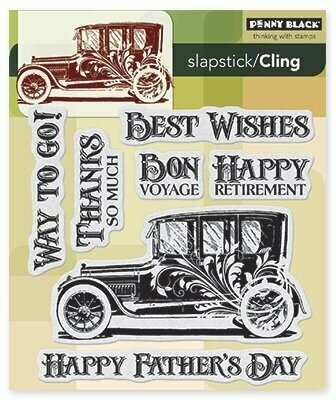 Clear Stamp Men Things - Oldtimer Car. A great stamp for the male population or those who love classic cars! Would look great coloured with markers/inks/pencils. 1 stamp. Size: 2.75" x 1.00". Cling Stamp featuring an antique mail car. Deep Red stamps are made of a blend of natural rubber and are attached to a cling foam pad for better definition. Approximate Size: 2" x 1.9". New Mini Project Series! Set of 3. Roving fence, old fashioned truck, and barn. Perfect for a country scene! Mix and match with your favorite flowers and foliage.